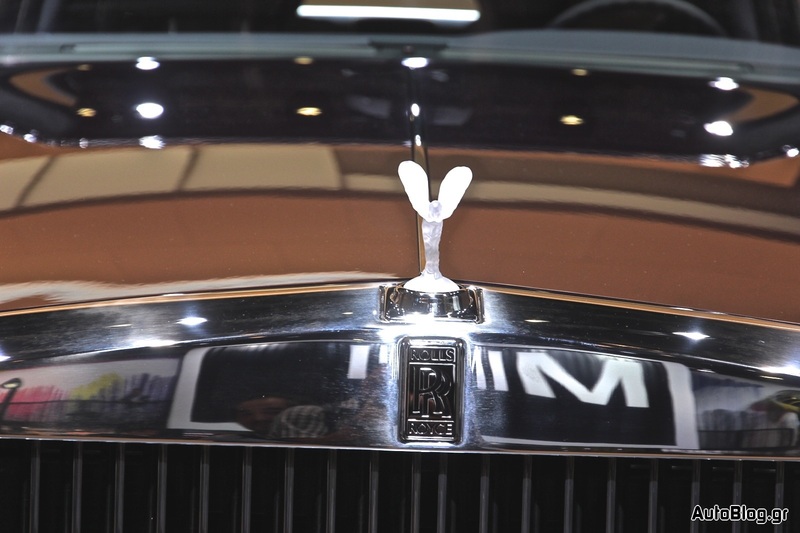 Όπως μας είχε υποσχεθεί, η Rolls-Royce παρουσίασε στην έκθεση της Φρανκφούρτης την Phantom Celestial Concept. 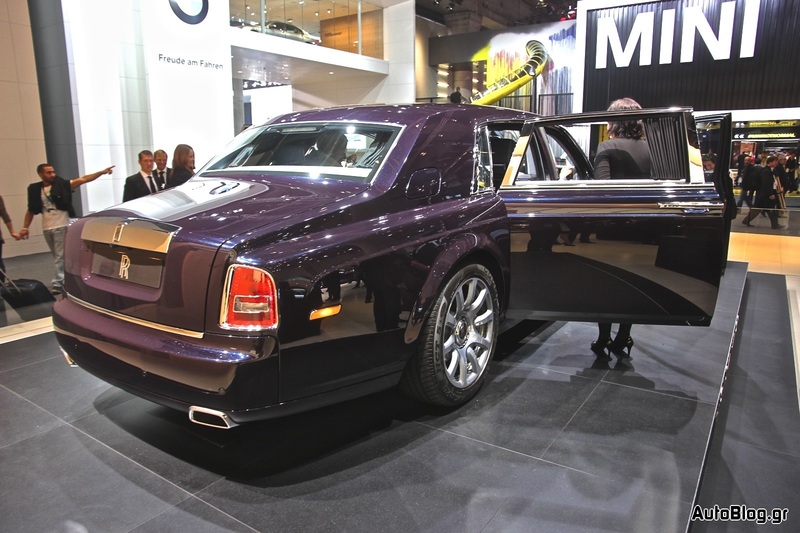 Πρόκειται για μία Rolls-Royce Phantom με μακρύ μεταξόνιο, της οποίας ο «ουρανός» είναι γεμάτος με χιλιάδες οπτικές ίνες, τοποθετημένες έτσι ώστε να δημιουργούν μία αναπαράσταση του ουρανού στο Goodwood την πρώτη Ιανουαρίου του 2003. Αν σας φαίνεται υπερβολικά συγκεκριμένο, αυτό θα οφείλεται στο γεγονός πως είναι! Πρόκειται για την ημερομηνία παράδοσης της πρώτης Rolls-Royce Phantom. Κατά τα άλλα, το εσωτερικό της Phantom Celestial Concept είναι -φυσικά- επενδυμένο με δέρμα στο χρώμα του λυκόφωτος ενώ στο κέντρο του ταμπλό υπάρχει ένα αναλογικό ρολόι με τέσσερα διαμάντια. Το σήμα στο καπό είναι φωτιζόμενο ενώ υπάρχει και ένα γυάλινο σετ για πικ νικ. Μηχανικά, η Phantom Celestial Concept δεν διαφέρει σε τίποτα σε σύγκριση με την «απλή» Rolls-Royce Phantom που σημαίνει πως ο V12 των 6,75 λίτρων παραμένει απαράλλαχτος. Η Phantom, ακόμα και 10 χρόνια μετά, παραμένει η επιτομή της πολυτέλειας, όμως εμείς αναρωτιόμαστε αν αυτό το μοντέλο-φόρος τιμής αποτελεί και το κύκνειο άσμα αυτής της γενιάς Phantom. 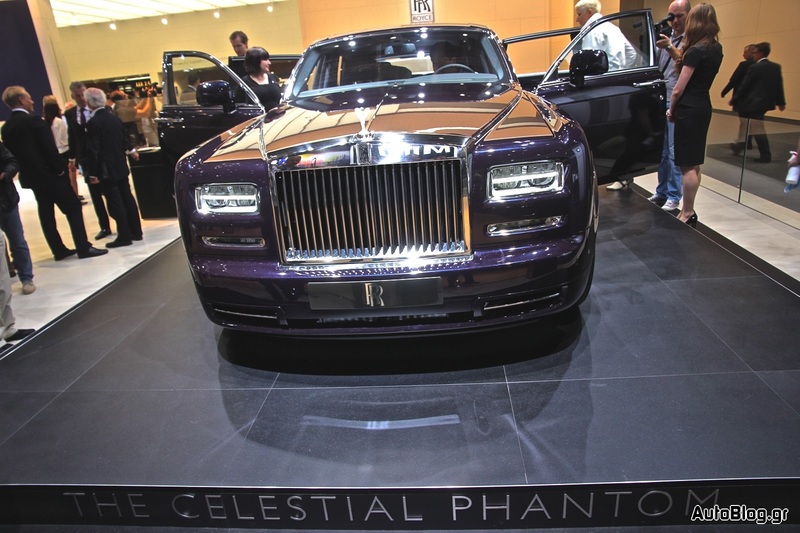 Rolls-Royce Motor Cars is delighted to showcase the breadth of the marque’s Bespoke offering at the 2013 Frankfurt IAA with the unveiling of the Celestial Phantom and European debut of the Home of Rolls-Royce Collection. 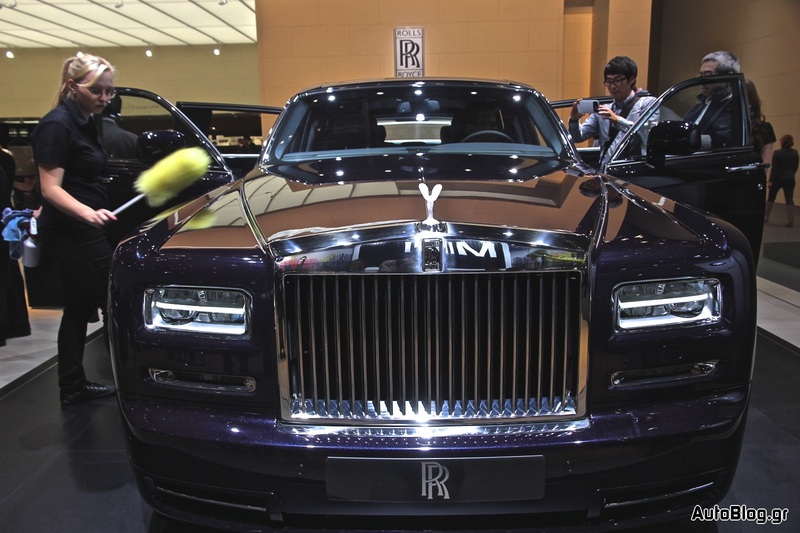 Midnight, 1 January 2003, and Rolls-Royce Motor Cars’ renaissance under BMW Group custodianship is heralded with a whisper. 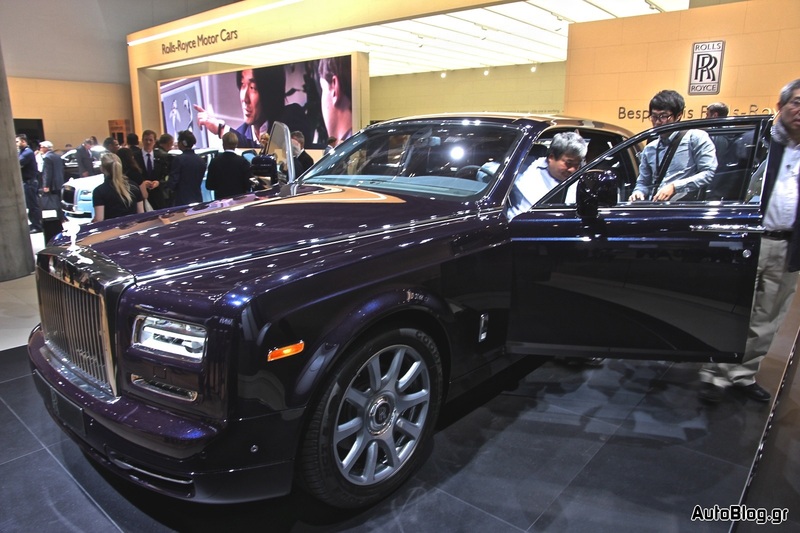 The first Phantom gracefully wafts through a newly completed manufacturing plant into the hands of its eagerly awaiting owner, signaling the start of an extraordinary new chapter in the marque’s storied history. 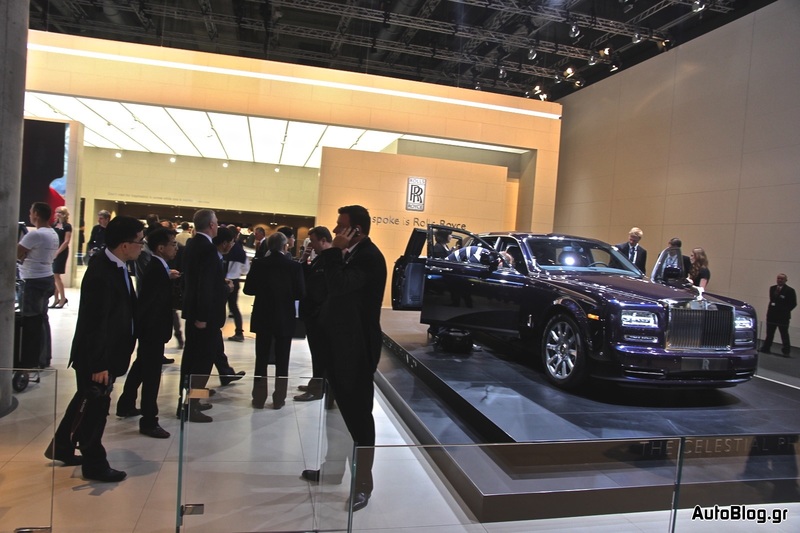 A decade on, this historic moment is celebrated with the unveiling of the Celestial Phantom. 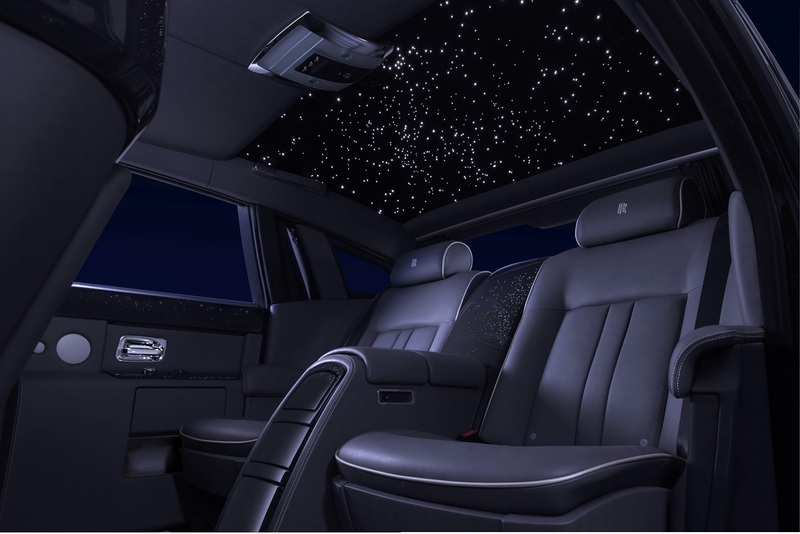 Upon entering the car, occupants are welcomed with a new take on Starlight Headliner, a Bespoke feature that has captivated Rolls-Royce’s discerning customers more than any. The constellations, exactly as they were at midnight on that historic evening are represented by over a thousand fibre optic lights hand-woven into the Celestial Phantom’s headlining. 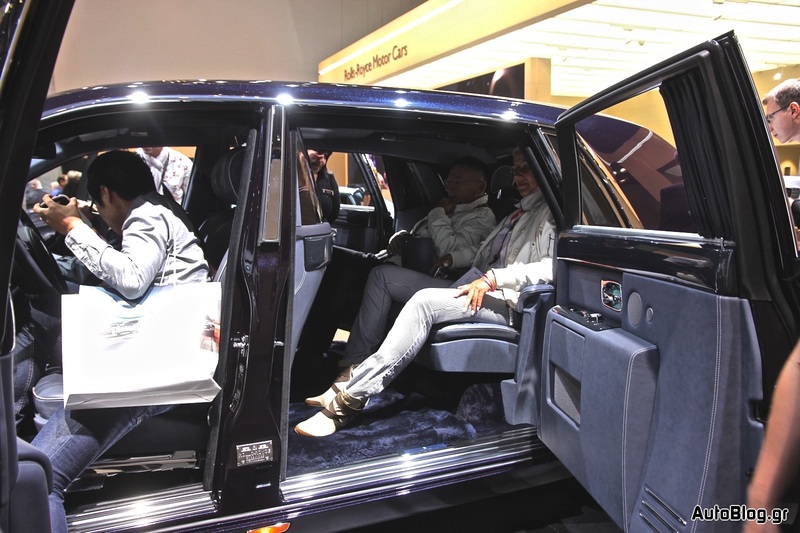 The Frankfurt IAA also sees the European debut of the Home of Rolls-Royce Collection Ghost, part of a limited series of Phantom and Ghost models that celebrate the meticulous design, engineering and craftsmanship employed in the production of every automobile that leaves Goodwood. A ‘Celebration’ motif, presented in hand-crafted marquetry on the front-fascia, marks this landmark year in Rolls-Royce’s history. Using methods akin to the artistry of fine furniture makers, this effect is achieved through a process that marries cutting edge technology with traditional craftsmanship. Individual pieces of wood are laser-cut to ensure precision. 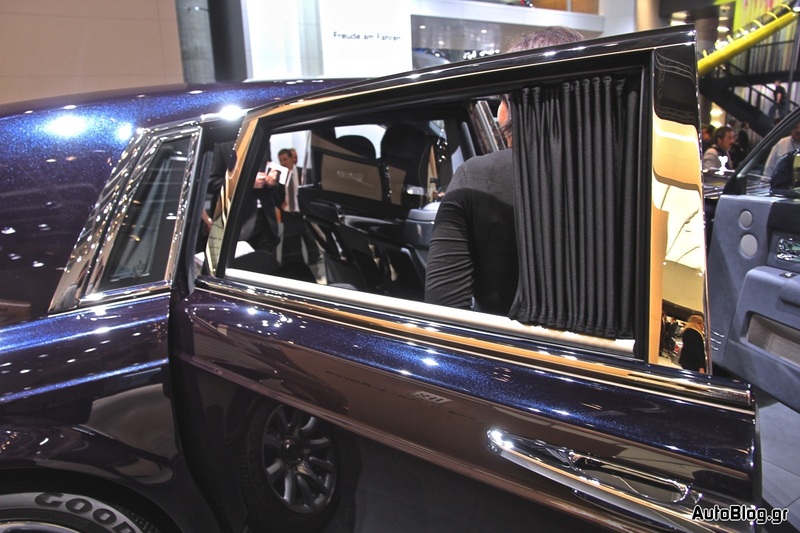 A craftsperson then painstakingly assembles the sections, ensuring they perfectly express the vision of Rolls-Royce’s Bespoke design team. A fastidious process of quality control follows, utilising the world’s most accurate measuring tool – the human eye. 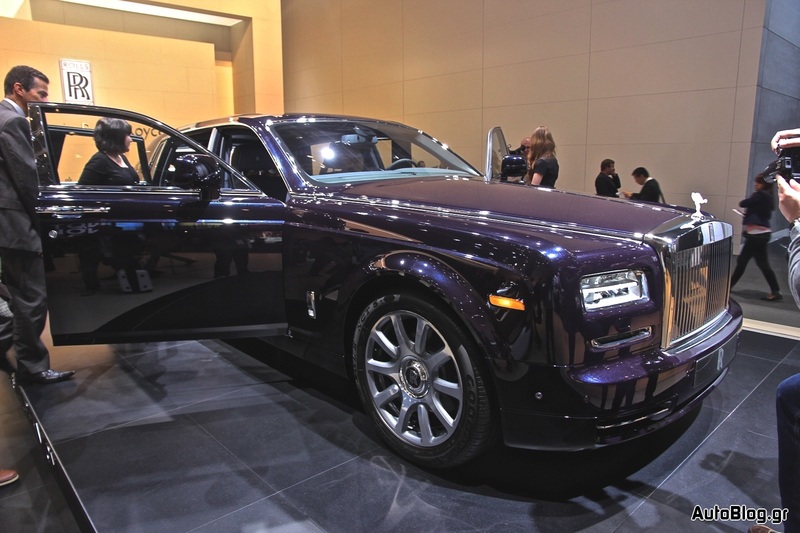 In 2012, hand-built Rolls-Royce motor cars exclusively assembled at Goodwood were exported to all five continents. 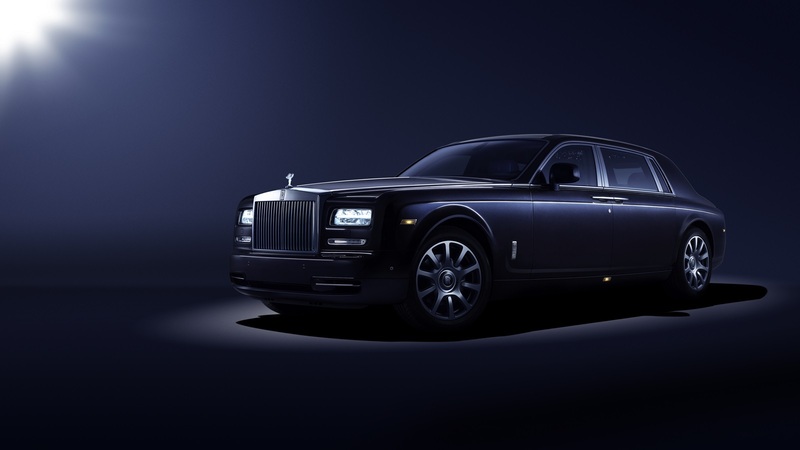 This global reach is celebrated throughout with a complex compass motif that expresses the Home of Rolls-Royce’s position as a major global centre of super-luxury manufacturing excellence. The pattern is intricately embroidered to armrests and console lid. 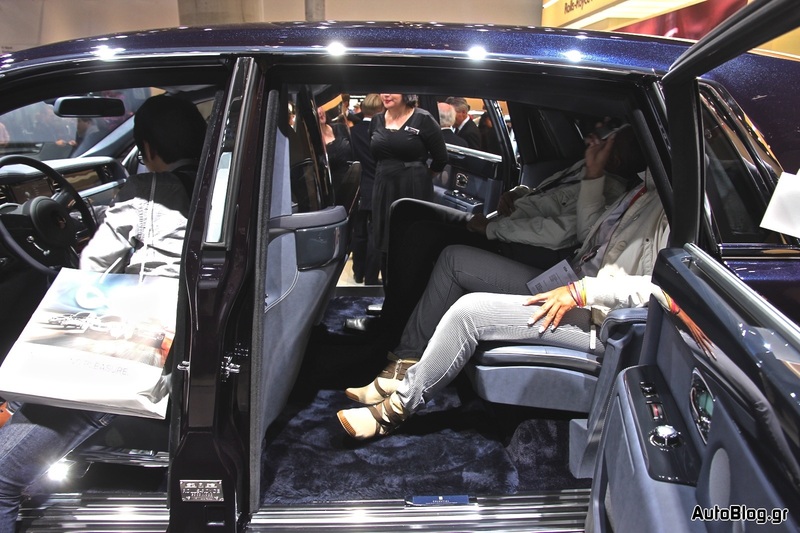 120,000 stitches are applied by precision embroidery technology. Such is the complexity of the pattern it takes over an hour to finish one individual piece. 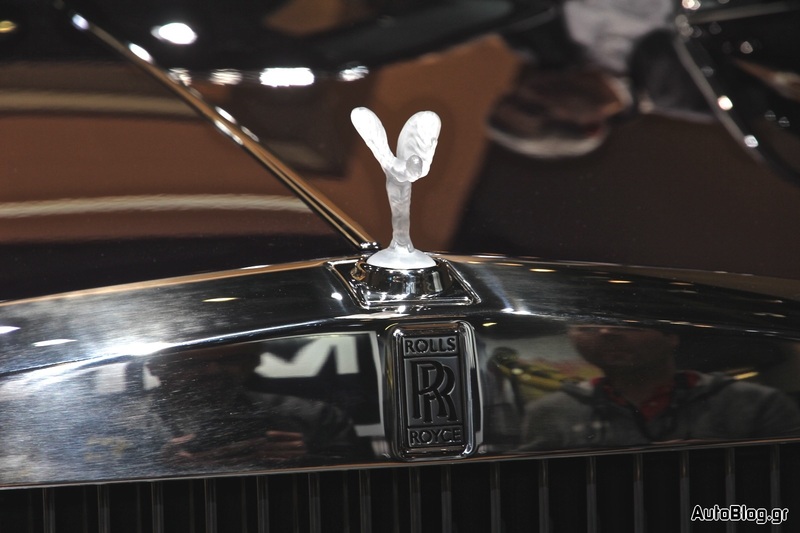 Co-ordinates engraved into tread plates, the bezel of the Spirit of Ecstasy and umbrella handles further express Goodwood’s place as the only manufacturing centre for the world’s pinnacle super-luxury brand. A hand-painted coachline, culminating in a half-compass motif completes the exterior. Forming the final stage of a week-long, 22 stage painting process, coachlines are hand-applied by one highly-skilled craftsman using precision-made squirrel hair-brushes. Normally this process takes three hours – however the intricacy of this very special Bespoke design means the time taken to complete the process doubles.